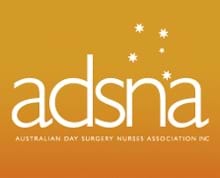 Passionate about day surgery? We are looking for new committee members to manage the Association. Email or call us to discuss. We are excited to present our 2018 events. Click here to view upcoming events. Be a part of a growing and dynamic group of like minded people and together we can influence change, help set standards, solve problems and support each other in the field of Day Surgery. The DSNA has set up a Scholarship Fund to support members towards the cost of ongoing education.